Structure My Deal tools are complete — you're ready to visit PRIMEAUX MITSUBISHI! Buy the new 2018 Mitsubishi Outlander Sport SUV at our Mitsubishi dealership in Bixby, OK. When you compare the 2018 Mitsubishi Outlander Sport to competitors like the 2018 Nissan Rogue Sport, 2018 Kia Sportage and 2018 Subaru Forester, you'll see why the new Outlander Sport crossover is the right model for you. Explore the Mitsubishi Outlander Sport trims and engine options, then visit us at Primeaux Mitsubishi to take a test-drive. The new 2018 Mitsubishi Outlander Sport is the fuel-efficient SUV you've been looking for with an impressive fuel economy of up to 30 highway mpg. The spacious cabin was designed for adventure at an enticing price point, which allows you to be able to drive this Mitsubishi SUV home for less than what you'd pay for the Nissan Rogue Sport, Kia Sportage or Subaru Forester. Additionally, you'll enjoy standard comforts like Automatic Climate Control, which can help the cabin of your vehicle be welcoming to all of your passengers through every season. You'd need to upgrade trims to enjoy features like these on a competing SUV. Opt for the panoramic glass roof for an unrivaled view of the sky above, or select your favorite entertainment from the standard 7-inch HD touchscreen display audio system. You can effortlessly select music from your compatible smartphone via either Android Auto™ or Apple CarPlay™, and Bluetooth® 2.0 technology makes it easy for hands-free phone calls. 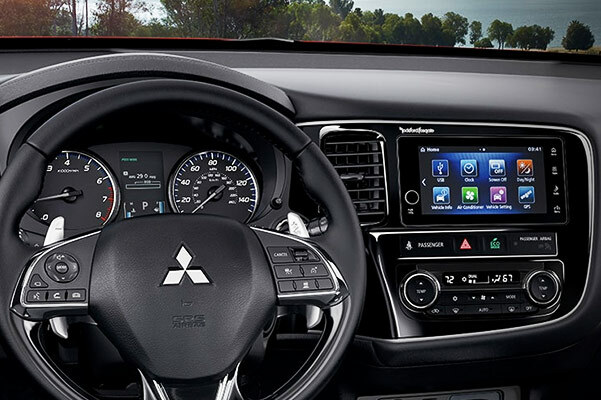 The 2018 Mitsubishi Outlander Sport technology features and interior comforts will have you looking forward to your next commute or road trip. 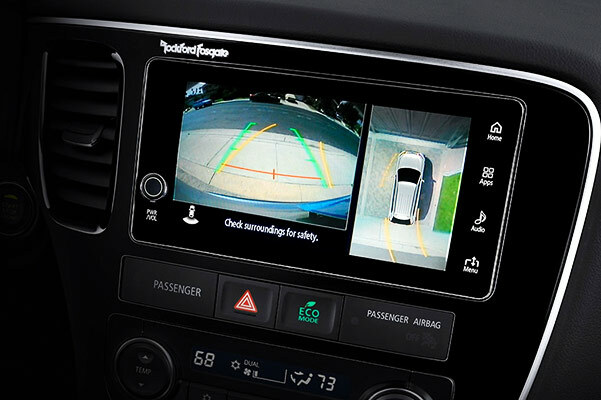 Learn more about the 2018 Mitsubishi Outlander Sport features and technologies, then schedule a test-drive at our Greater Tulsa area Mitsubishi dealership!